Since the dawn of time, the ritual of bathing has been key to good health and peace of mind. Public baths became popular around the third century. In Roman and Greek cities, ostentatious bath houses became the centre of social life, places to share the day's gossip, do business and philosophize. The ritual of bathing might be slightly different these days but we can all agree there's nothing like a relaxing soak in a tub or starting the day with a steaming, hot shower. A nice and comfortable shower that looks stylish will only make the ritual more pleasurable. You don't have to have a huge shower in your bathroom to mimic the aura of a Greek bathhouse, it just has to be appealing and attractive. It's why we've curated 9 projects from top professionals from around the world that show you just how sensational showers can be. 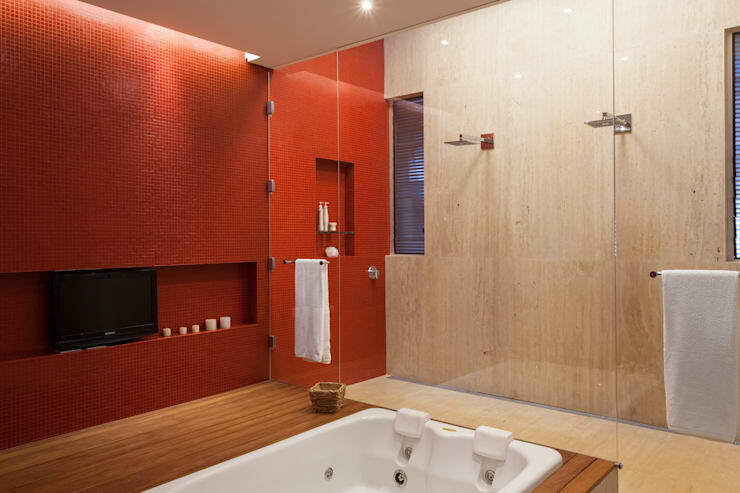 These architects and interior designers decided to install a double shower in this elegant bathroom. The glass shower cubicle gives this space a very modern touch. 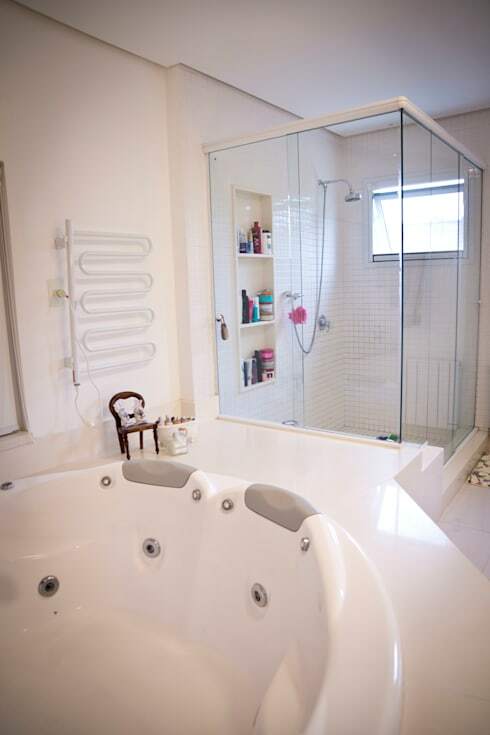 There is also a nice bath tub. Tiling is one of the most common materials used to coat the walls of the bathroom and kitchen. The effect is dynamic and fun. Mosaics of various colours create a stunning visual impact, creating an almost virtual image that looks like it's made of pixels. The shower cabin stands out dramatically against the stark white bathroom. 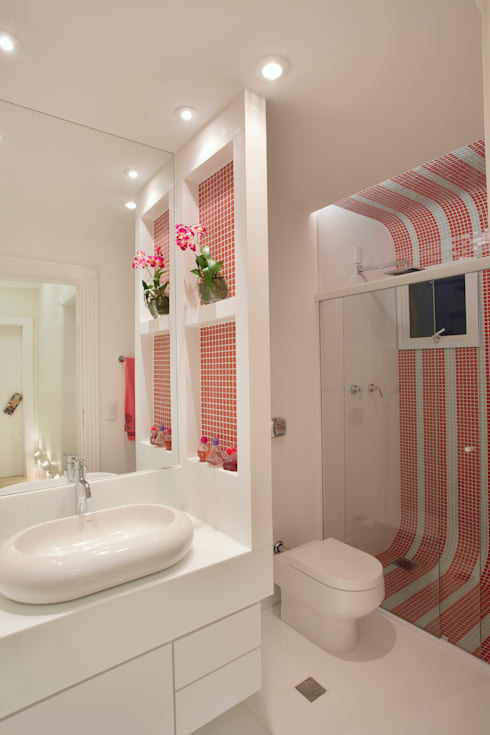 A bathroom is one of the rooms of the house that looks perfect finished in white tones. 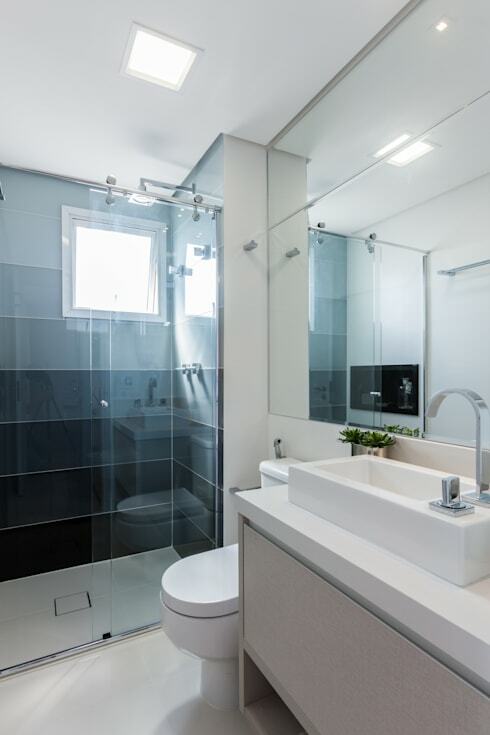 When used throughout the interior design of the bathroom, it leaves the environment looking very clean and hygienic. It also amplifies the natural light. 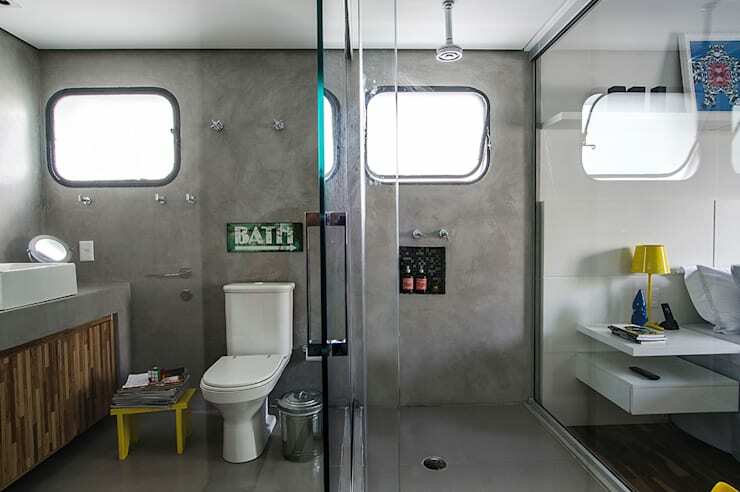 In this image, we can see how well industrial design does in a small bathroom area. The raw concrete on the wall is a great and budget-friendly choice, with a stunning visual impact. This is a very popular look at the moment. This elegant shower is lined with beige marble. Seen from afar, this material reminds us of the texture of wood. The orange tones used in contrast are a very good choice, creating a very warm and cozy bathroom space thanks to designers Beth Nejm. You'd never want to get out of this shower! How about a different and original shower? Curved lines were used for this structure as well as for the other features in the bathroom, creating a very unique design. 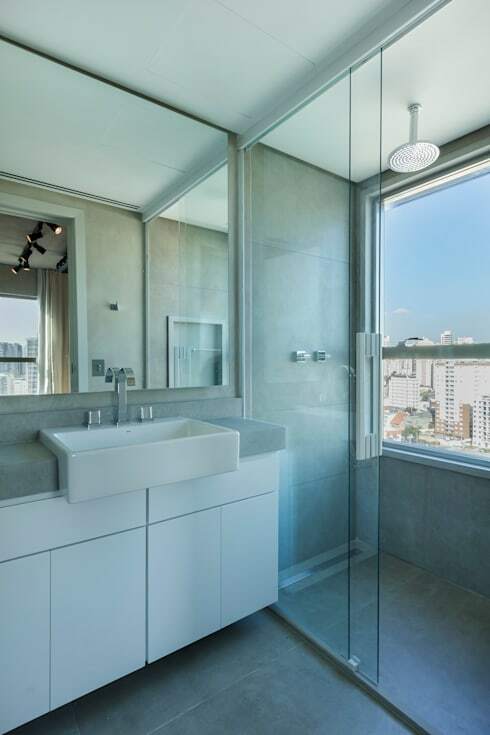 For those who live on higher floors or in more isolated homes, installing a large window in the shower space can provide a very pleasant showering experience with a unique sense of freedom as well as a generous amount of sunshine. You'll also have great views! How about bringing in a more natural approach to the shower cubicle in your bathroom? 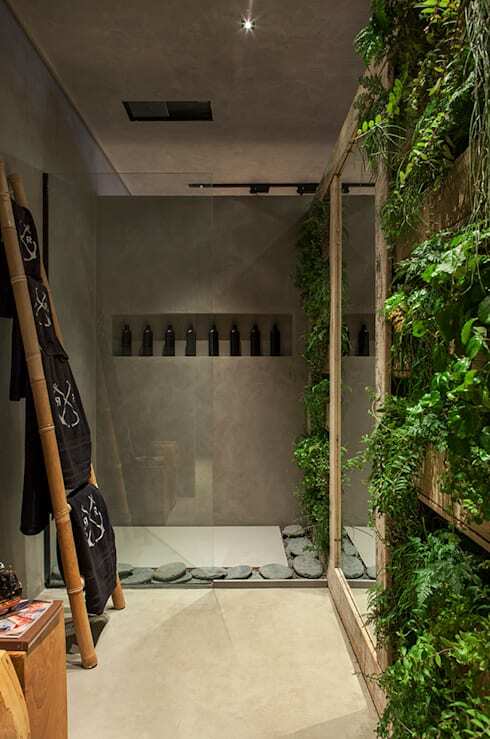 This design is simply gorgeous where the designers have created a vertical garden, connecting the space to the outdoors. 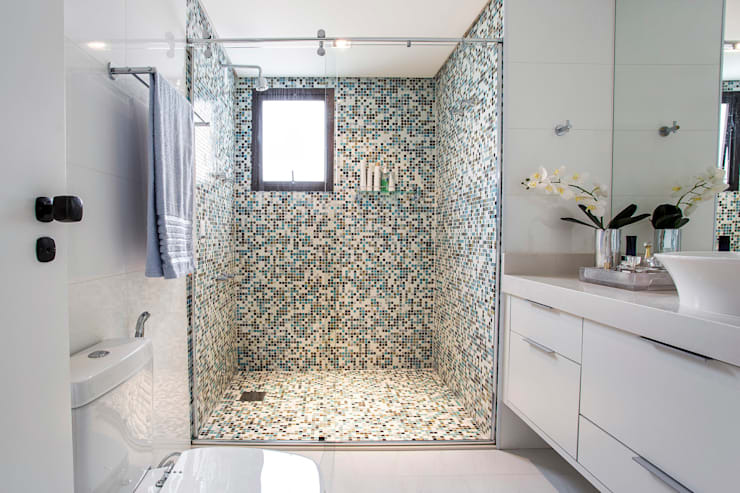 To end off this ideabook, we look at this very creative shower. The designers have used a gradient of colours to create a modern and original effect on the wall. This is simply stunning! Also have a look at these brilliant, beautiful bathroom trends for inspiration for your own bathroom. Which shower is your favorite?